Georgia Urology, P.A. 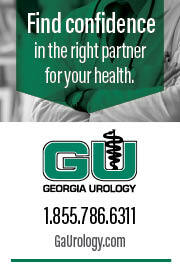 is the largest urology practice in Atlanta and the Southeast. Their board certified urologists provide the finest urologic care available and strive for the best outcomes for all patients. GAUrology.com. DeKalb Medical. 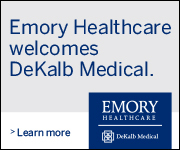 DeKalb Medical is a not-for-profit health system consisting of three hospital campuses DeKalb Medical at North Decatur, DeKalb Medical at Downtown Decatur and DeKalb Medical at Hillandale—as well as 50 DeKalb Medical Physicians Group offices with 115 providers in DeKalb and Gwinnett counties. It’s medical staff includes more than 800 doctors in 55 specialties. In 2017, Atlanta Magazine named 83 DeKalb Medical physicians as “Top Doctors.” DeKalbMedical.org. 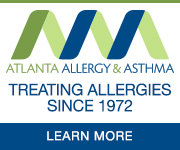 Atlanta Allergy & Asthma is the largest allergy group in Atlanta, with 17 locations and 17 board-certified physicians. For more than 40 years, they have been the experts in the diagnosis and treatment of allergies, asthma, food allergies, sinusitis, and immunologic diseases. 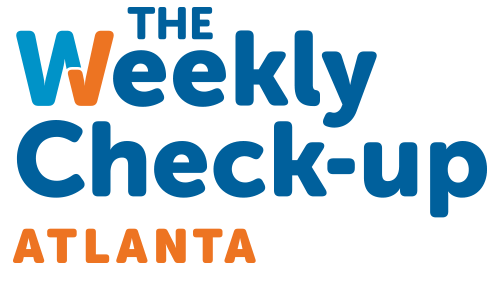 AtlantaAllergy.com. 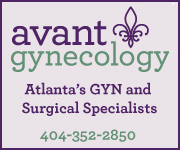 The physicians and staff of Avant Gynecology, formerly McDaniel and Durrett, are Atlanta’s Gyn and Surgical Specialists. Having multiple locations, Avant provides comprehensive gynecologic care and state-of-the-art surgery services. We are proud to offer a full range of gynecologic care, such as annual exams, diagnostic and screening tests; a full range of contraceptive options; specialized services such as bio-identical hormone therapy, hormone pellets, and Thermiva vaginal rejuvenation; as well as minimally invasive and robot-assisted surgical procedures. AvantGynecology.com. Atlanta magazine is the number one magazine providing information on where to go, what to eat, and getaways in Atlanta, Georgia. AtlantaMagazine.com. Atlanta’s healthcare marketing specialists since 1992, Lenz, Inc. offers marketing strategy and consultation, creative and interactive execution, PR, and more. LenzMarketing.com.